Scott was hired by the LVMPD as a Corrections Officer in February of 2000. Soon after graduation from the academy, Scott worked at Las Vegas City Jail where CCDC was housing 550 inmates. In 2001, Scott joined the Special Emergency Response Team (SERT) and was on the team for 9 years. In 2002, he transferred to the Central Booking Bureau where he remained until joining the Executive Board of the LVPPA. 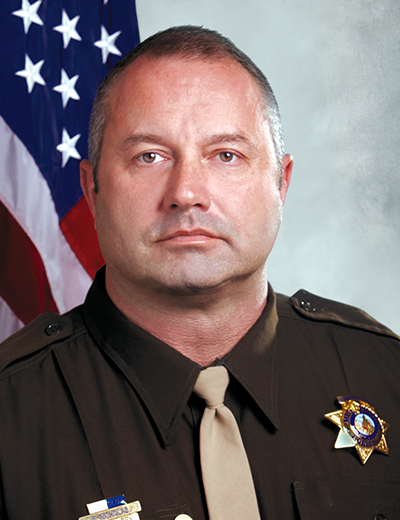 In 2004, Scott became a Defensive Tactics Instructor and Firearms Instructor upon completion of the NRA training and all associated LVMPD training and certification. In 2006, Scott was elected to the LVPPA Board of Directors representing the Detention Services Division. In 2010, He was elected to a second term representing Detention Services. In March of 2012, Scott was appointed to the LVPPA Executive Board as the Secretary. In 2013, Scott was asked to become the treasurer and currently holds that title. In 2016, Scott took on duel rolls by also becoming the Assistant Executive Director. Later in 2016, Scott became Vice President.